The Australian government has accepted that a stateless refugee — detained since arriving as a child in 2013 — faces indefinite detention, after taking over two years to reject his visa application. 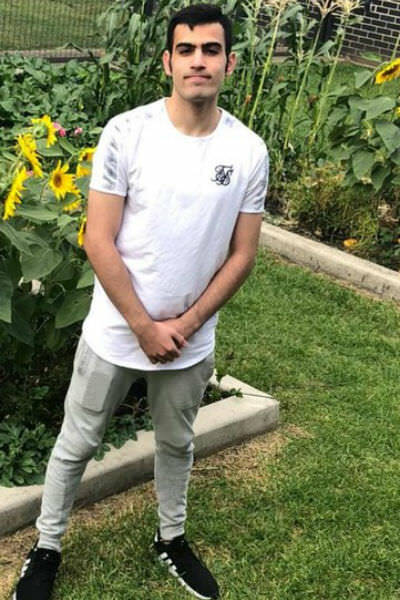 Despite facing no criminal charges, Ahmad Shalikhan, 21, was refused by Immigration Minister David Coleman, due to a risk he would ‘engage in criminal conduct in Australia’, thus deeming him to have failed the character test under the Migration Act. Shalikhan’s legal team will appeal the decision. ‘It is unacceptable that someone who arrived as a child, and has various cognitive difficulties, should be subjected to detention for this long, and that the government could consider indefinite detention for him,’ said director of Human Rights for All, Alison Battisson. According to Coleman’s statement dated 3 January 2019: ‘In light of the serious nature of the potential harm, I have found that Mr Shalikhan represents an unacceptable risk to individuals in the Australian community’. This outweighed other considerations including ‘Australia’s international non-refoulement obligations, the prospects of indefinite detention of Mr Shalikhan and its possible effect on his mental health, and the impact of a refusal decision on his family’. 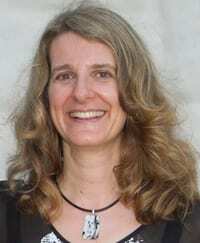 On 13 February 2019, the High Court of Australia dismissed the case of an allegedly stateless asylum seeker, who was attempting to challenge Australia’s system of indefinite detention. After questioning his credibility and discussing the mystery surrounding his identity, the court unanimously found such a challenge ‘did not arise’. Known as ‘plaintiff M47’, the man, in detention for over nine years, was also represented by Battisson. A Faili Kurd, who fled Iran by boat aged 16 with his mother, Shalikhan has been detained since arriving on Christmas Island in August 2013. Suffering from a developmental disorder and mental health issues exacerbated by his father’s death in Iran, he has in the past attempted suicide and displayed volatile behaviour. The Faili Kurds have long been persecuted in Iran as an ethnic minority. Both Shalikhan’s mother and older brother have been recognised as refugees by Australia, his mother granted a five-year SHEV in 2016, while his brother, who fled earlier, has permanent protection. Shalikhan too was able to prove a well-founded fear of persecution in Iran, Australia recognising him as a refugee in 2016. This means Australia is legally obliged to protect him and cannot forcibly return him to a place of harm. In 2014, however, as a 17-year-old minor, he was charged with two counts of assaulting a public officer. The offences were resolved by the Western Australian children’s court, which issued him a caution and noted ‘all criminal matters are finalised’. While no formal punishment was ordered, the incident continues to haunt him, the Minister taking it into consideration ‘on the basis that his violent conduct … has been proven in court’. Moved to detention centres around Australia, his education and social development were disrupted. Having only completed year ten, he has not been allowed access to education since turning 18 — despite repeated requests — and has languished in Sydney’s Villawood Immigration Detention Centre since mid-2016. Last year, Battisson submitted a complaint on his behalf to the UN Working Group on Arbitrary Detention (WGAD). In December 2018, it released its opinion, determining the Australian government was in breach of five articles of the Universal Declaration of Human Rights and four articles of the International Covenant of Civil and Political Rights. It recommended he be immediately released and accorded an enforceable right to compensation. It also called for an investigation into the circumstances surrounding his deprivation of liberty and for appropriate measures to be taken against those responsible for violating his rights. In its third report on his incarceration, tabled in October 2017, the Commonwealth Ombudsman noted ‘psychiatrists have continuously advised that as a young and vulnerable person’, his ‘ongoing detention is detrimental to his mental health and recommended … he be released … with mental health support and enrolment in an educational course’. While the Minister accepted that should he be released, Shalikhan would have the support of his family and the NSW Health Refugee Service, the government maintains this is still outweighed by the risk he ‘would engage in criminal conduct in Australia’. But while most criminals serve a fixed term, with even murderers sentenced to life imprisonment often eventually released, our government is seemingly still prepared to condemn stateless refugees to indefinite detention. Shira Sebban is a Sydney writer and editor, passionate about exploring the challenges life throws at us through her writing. A former journalist, she previously taught French and worked in publishing. A Tamil asylum seeker has been deported to Sri Lanka despite a last-minute plea to re-examine his case, after his father was shot dead and his mother and sister disappeared earlier this year. The 25-year-old asylum seeker, known as Kavi, had been detained in the Yongah Hill immigration detention centre near Perth for four months, since his bridging visa expired. He had been in Australia for six years, having fled Sri Lanka after the brutal 26-year civil war in which his brother was killed in 2009. Kavi’s full name is being withheld to protect him from potential danger in Sri Lanka. In a statement addressed to the home affairs minister, Peter Dutton, Kavi wrote: “On 5 January 2018 I received a very distressing call from my mother. “My mother and sister were crying on the phone and she said my father had been shot dead on the farm. Up to now, no death certificate has been issued by the Sri Lankan authorities. The Red Cross confirmed it had received the tracing request but had failed to find Kavi’s mother and sister. The changes to Kavi’s family circumstances were detailed in a letter to Dutton on 27 June as part of an application asking him to allow Kavi to lodge a protection visa application. Kavi has always maintained that the Sri Lankan security agencies suspected his family, fishermen from the northwest of Sri Lanka, of having supported LTTE, commonly known as the Tamil Tigers. The United Nations says Tamils, particularly those with links to the LTTE, continue to face harassment in Sri Lanka nearly a decade after the war ended. Disappearances – particularly at the hands of security forces personnel driving unmarked white vans – have been notorious across the country for years, both during and after the civil war. “Entire communities have been stigmatised and targeted for harassment and arbitrary arrest and detention, and any person suspected of association … with the LTTE remains at immediate risk of detention and torture,” the UN special rapporteur, Ben Emmerson, wrote last year. However, the Sri Lankan prime minister, Ranil Wickremesinghe, has urged Tamils who fled Sri Lanka to return, saying “all is forgiven”. Before appealing to Dutton, Kavi had been rejected four times as a refugee by Australian authorities. Having been found not to meet the criteria for refugee status by the then immigration department, he had applied for review by the Administrative Appeals Tribunal, and two appeals were dismissed. Under the Migration Act, the minister has broad powers to allow someone who has had a visa refused to reapply. Dutton did not allow Kavi to do so, despite the murder and disappearance of his family members. Home affairs department regulations state that requests will be considered where a person makes “genuine and compelling claims” that could not have been made in their initial application. But the department also states that the minister will not consider claims from someone who does not hold a current visa. Kavi’s bridging visa was cancelled before his mother and sister disappeared. The Australian government maintains it never sends people back to a place of potential harm, but that people with no lawful basis to remain in Australia are expected to return home. “Australia does not remove people to Sri Lanka who engage Australia’s non‑refoulement obligations. Australia takes its non-refoulement obligations seriously,” it said. It is understood Kavi was deported early on 17 May. He has said he intends to escape to India, where Sri Lankan refugees live in rural inland camps or undocumented in the margins of cities in the state of Tamil Nadu. My sister and I never expected to find Naomi’s diary. Indeed, for many years, we did not even know of its existence. A non-descript, navy-bound volume, it had been stashed away in a drawer of the massive wooden study desk, at which our late mother had worked as an academic economist for so many years. Perhaps she had simply forgotten writing it? Or perhaps she had chosen not to share her youthful passions and agonies, hopes and fears with her two daughters? We will never know. I had long abandoned any hope of uncovering more details of my mother’s past, her memories having been gradually extinguished by Alzheimer’s disease, which had afflicted her for the last decade of her life. Now, 60 years later, as I turn the diary’s yellowed pages filled with her distinctive script, I feel grateful for the opportunity to discover her anew, albeit in a younger form, becoming acquainted with the person she once was before I was born. So begins the Preface of my recently published book, Unlocking the Past: Stories From My Mother’s Diary.Written in English in the mid-1950s, when a postgraduate scholarship had taken her back from Australia to her birthplace of Israel after almost a decade’s absence, the diary provides a glimpse of what life was like then for a still single, late 20-something woman – a highly unusual phenomenon for that time. Attractive and bright, Naomi was courted by a host of mostly unsuitable admirers, although occasionally, one would become the focus of her hopes and dreams. After all, as she notes, her mother had advised her to “secure a future” for herself, urging her to work hard to accomplish her purpose: in other words, “get married”. A picture builds of what life was like in the then recently established State of Israel as seen through the eyes of a former Sabra, who has become somewhat of a stranger in her own land. Many of those Naomi meets are keen to move elsewhere, struggling with the harsh daily existence they face and believing there to be more opportunity overseas. A certain unease lurks behind the pages too, and on one occasion, she even has to identify a suspect at the police station after an elderly woman is raped across the street from her mother’s home in south Tel Aviv. More often, however, she is scared to walk alone in isolated areas, having heard about, as she puts it, “some unpleasant and unfortunate encounters with Arab infiltrators”. “Infiltrator” – a term recently revived to denote African asylum seekers in Israel was the word used to refer to citizens of surrounding Arab states, as well as Palestinians, who had entered Israel illegally, especially if they were armed or had committed crimes against people or property. Keen to share my wonderful discovery, I wrote a story about the diary and submitted it to an online Jewish literary journal. Concerned, however, that the excerpts I had provided were a little short and unfulfilling to the reader, the New York-based editors suggested instead that I expand an entry or two to make it the focus of the piece, as well as a complete, stand-alone story. That particular journal publishes three genres of creative writing – fiction, creative non-fiction and poetry. I did not want to fictionalise my mother’s diary. So what exactly is creative non-fiction and would I be able to produce a story in that genre based on the diary? Having begun my writing career in academia, I had later switched to journalism, working for a Jewish community newspaper. Since then, I have continued to fine-tune my editing skills and have kept on writing articles, essays, whether personal or not, memoir… but creative non-fiction was a new challenge. American writer Lee Gutkind, who is known as “the godfather behind creative non-fiction”, defines the genre as “true stories well told”. In other words, the writer produces factually accurate prose about real people and events in a compelling, vivid and dramatic way. As he puts it, “the goal is to make nonfiction stories read like fiction so that your readers are as enthralled by fact as they are by fantasy”. And so I embarked on a quest to learn how to write creative non-fiction, teaching myself to write in scenes. I have found creative nonfiction to be liberating in that it enables the writer to use literary or fictional techniques, such as description, dialogue, and point of view, striving to immerse writer and reader alike in the action so that we are able to picture what life in Israel must have been like for my mother at that time. In so doing, I have turned Naomi into a character in her own story, changing it from first to third person. In the process of writing this book, I learned a great deal about Israel in the early days of the State. For my work entailed interspersing my mother’s personal experience with historical facts where it is crucial to be accurate. It was often like putting a puzzle together, one piece at a time. So I read widely, researching everything from how Israelis dressed and behaved on buses, at the cinema and at parties in 1950s’ Tel Aviv and how Yom Ha’azmaut (Israel’s Independence Day) was celebrated and development towns like Ashkelon were established. I read about Arabs fleeing Jaffa in 1948 and about how until 1967 an armoured truck would make the trip along the one perilous road connecting the Jewish part of divided Jerusalem to Mount Scopus, with only a small slit across the window in front of the driver’s seat to see what was directly in front. Books about 1950s Israeli social history were particularly pertinent to my research, while other sources included films, newspapers, music, novels, even Google maps … there was an abundance of enriching resources available. Along the way, I was helped by many, from the former owner of the Dagon Inn, one of the first hotels in the South, who painted such a vivid picture of the Ashkelon of his childhood for me to the archivist from the Cameri Theater in Tel Aviv, who provided me with photos and programs from the era. I now count my mother’s diary as among my most cherished possessions. After all, it provides a portrait of Naomi as I never knew her: a young passionate woman searching for intelligent companionship and the man of her dreams. At the same time, and especially in the wake of the most recent deterioration in relations between Israel and the Palestinians, it is sobering to read a personal account of the early trials and tribulations, anguish and vulnerability of the new State of Israel. Using the key afforded to me by creative nonfiction, I have tried to recreate the Israel of my mother’s youth, unlocking a part of her past with which I was unfamiliar, a past that I thought had been lost forever. For the past 2 years, Shira Sebban has been assisting a Vietnamese failed asylum seeker family to survive hand to mouth. She has been trying to help this family ever since the father lost his ability to walk in a Vietnamese jail where he was serving a 2-year sentence for helping to organise an “illegal” departure by boat to Australia. As a result, Quyen, his oldest son, 16, has become the family’s main breadwinner: he works in a cafe for $4 a day. Now Quyen is just old enough to be accepted into a free 2-year English and hospitality-training program for disadvantaged youth in Hanoi. The course has a 100% success rate in placing graduates in their first job. I have been helping Vietnamese families since mid-2016 when I first became aware that parents of young children were being sent to jail in Vietnam for helping to organise what are seen as “illegal” departures to Australia by boat. Until I read an article in The Australian newspaper in July 2016 about the plight of another family, Tran Thi Thanh Loan and her 4 children, I was not aware that 3 boats, carrying 113 Vietnamese asylum seekers in total, had tried to reach Australia in 2015-16 and had all been forcibly returned to Vietnam. The Australian Government said that it had received written assurance from the Vietnamese Government that these failed asylum seekers would not be punished, but that has not proven to be the case, with those regarded as organisers all receiving a jail sentence. As an Australian, I feel morally responsible to some extent for what has happened to these families because we sent them back in the first place without giving them what I believe to be a fair hearing. These families are not people-smugglers as the term is understood in international law. They were not punished in Vietnam for unlawfully bringing people to another country for financial or material benefit. On the contrary — they were punished for leaving their own country and helping their families, relatives and friends go with them. Mr Quyet, the father of Quyen, was among those punished. He was the skipper of the second boat to try to reach Australia in July 2015 and he received a 2-year jail sentence in Vietnam. While in jail, he lost his ability to walk but is still too traumatised to speak about what happened to him. Although he was released in January 2018, he is still unable to work and so can no longer support his family. So Quyen is now the main breadwinner — earning $4 a day in a cafe — and is also the only one who can do heavy physical work around the house, helping to carry his grandfather who also lives with the family. His mother relies on him for everything — even speaking to the doctor — a big responsibility for a 16 year old boy. How did you know about this family? I first became aware of Mr Quyet’s and his family’s situation in September 2016 when Vietnamese human rights lawyer Don An Vo asked me to help them. At that time, I had just completed a crowdfunding campaign for Tran Thi Thanh Loan and her 4 children, raising $11,000 in one month — enough to stop her 4 children from going to an orphanage and to enable the extended family to care for them while their parents were serving jail sentences for helping to organise the first “illegal” departure by boat to Australia in March 2015. After that campaign, Mr Vo asked me to help several other families including Mr Quyet’s. I ran another crowd fund campaign, which raised $15,000 over one year — it was much harder the second time. This money went to support 3 families, including Mr Quyet’s family: Every month I would send a few hundred dollars to each of their bank accounts. This money was used to buy medicine for Mr Quyet, whose legs were causing him a great deal of pain, as well as extra food for him while he was in jail. The rest went to support his family. Unfortunately, neither of his sons is in school. Quyen’s younger brother, Quynh, now 14, left school in Grade 3 and walks the streets selling lottery tickets. He keeps in touch with me via Facebook messenger, using Google Translate, and tells me what is happening with the family. His dream is to become a carpenter. Their mother, Mrs Thanh, works 18 hours a day washing dishes and doing other odd jobs. She and her younger son earn less than $3 a day, and some days they earn nothing at all because the Government is still harassing this family and so people are often too afraid to give her work. Why it is a a crowdfund rather than one of donation in helping them? This new crowdfund is my idea. I cannot keep sending a few hundred dollars each month for ever — the money from the second crowdfund has run out and I would really like this family to be able to stand on their own 2 feet and not have to live hand to mouth for the rest of their lives. My translator told me about KOTO, an amazing social enterprise in Vietnam, started by Vietnamese Australian Jimmy Pham. KOTO provides hospitality training for disadvantaged Vietnamese youth aged 16-22, who are also given English language and life skills. Now that Quyen is 16, I thought that it would be wonderful if he could undertake this training and then get a good job and be able to help his family. KOTO has an 100 %  guarantee to place all graduates in their first job. The training takes 2 years and is completely free; all we have to pay for is the first trial month in Hanoi. But in order for Quyen to be able to go to Hanoi, we need to cover his wages for 2 years and we would also like to provide the family with a part-time carer to help his mother look after his father and grandfather. We also want to be able to fly Quyen back home a couple of times a year to see his family — they live in LaGi, BinhThuan on the central south coast — and we hope to put his younger brother Quynh back in school to learn carpentry. In 2016 You have helped to raise fun for Loan’s family with four young children to help them overcome the hardship while the children’s parents were facing jail because of illegal departure to Australia, what happen to them now? Mrs Loan and her 4 children tried to come to Australia again in early 2017 — they were part of a group of 12 children and 6 adults, also including another family I was assisting, Tran Thi Lua, her husband Nguyen Long and their 3 children — who fled Vietnam for a second time. Both Mrs Loan and Mrs Lua were facing jail sentences for helping to organise “illegal” departures by boat and both were being threatened by police that they would be beaten in jail for daring to complain to foreigners. I did not know they were planning to run away again. Their boat sank off the coast of Java, Indonesia, resulting in them losing everything, but fortunately they were rescued by the Indonesians. We used money from the crowd funds to help them stay in Indonesia for the first few days; they were subsequently interviewed by the UNHCR twice and were recognised as refugees in April 2017. After almost 10 months in 2 different detention centres – in early June 2017 I went to visit them in detention and brought them phone tablets and other supplies, together with an American Vietnamese refugee advocate, Grace Bui, who is based in Bangkok — they were released in early 2018 and now Iive in community housing on the outskirts of Jakarta. They are completely dependent on Indonesian Immigration and the IOM (International Organisation for Migration). We are working very hard to get them accepted for resettlement in a third country — I will share the good news when we know more. Meanwhile, they are all well and happy. They cannot work but the children are learning English and a teacher provided by the IOM is giving them Maths and Social Studies classes. I keep in touch with them via Facebook Messenger. While it is stressful and suffering to witness and learn about asylum seekers’ story, involving in helping them means exposing yourself and maybe your family in a duration of suffering, why didn’t you let it go especially you have done an excellent fund raising for another family before? I am very passionate about helping asylum seekers and refugees. I visit Villawood Immigration Detention Centre each week as a member of SASS (Supporting Asylum Seekers Sydney) in order to provide support to asylum seekers detained there. I also run programs and teach students about their plight and try to create awareness by writing and publishing occasional articles, as well as volunteering as a guide at the Sydney Jewish Museum, where I combine lessons learned from Jewish history and notably the Holocaust with my passion for social justice. My Judaism plays an instrumental part in my desire to help others: As Jews and humane beings, we are taught to welcome the stranger; to help those less fortunate, and to treat everyone with respect and dignity — the way we would like to be treated ourselves. Shira Sebban’s Unlocking the Past documents her mother’s experiences as a young woman living in the new State of Israel in the 1950s. Carefully drawing from her mother’s diary entries from this time, Sebban painstakingly pieces together a vibrant social history to provide a peek inside an individual story behind the larger international events. Among the most striking elements of Sebban’s book are the photographs. Sebban includes both personal and archival photographs, and the juxtaposition of the two amplifies the inter-connectedness of the personal and national narratives. The Israel that Naomi inhabited was a country brimming with young people and potential. The country’s tiny geography adds to the intimacy of the setting and the relationships that Naomi experiences. So what did a young, educated, and single woman do in Israel in the mid-1950s? Naomi’s life, according to her diary entries, was largely defined by her work as an economist, her connection to the Hebrew University, and an endless stream of movies, concerts, and small parties in people’s apartments or at cafes. It was a largely secular and urban life, with perhaps the only traditional element being the expectation that a young single woman must be looking for a husband. Sebban does not gloss over the military and security threats, but she addresses them apolitically, with direct reference to how they affected her mother’s day to day experiences. Readers who are hoping for a story of spiritual-awakening and efforts to make the desert bloom will be severely disappointed. Readers who wish to engage with the energy of young people eager to establish their roots in a new home will find abundant inspiration. As Sebban has tried to stay true to her source material, the narrative sometimes feels choppy or distant. The excerpts she includes in the book make it clear that her mother was not given over to flowery prose in making her diary entries, and Sebban is faithful to the simplicity and sharpness of Naomi’s writing. It is to her credit that Sebban chooses not to try to speculate or fill in the blanks where her mother’s story is incomplete. Rather, she gives her readers a priceless gift – the hint of a personal narrative that makes us question and want to explore more fully the lives of those we hold most dear. We will never know the whole story, but we can try to find connections that will support our shared memories, and allow us to better understand ourselves. BooksandBlintzes received a free copy of this book from the publisher for the purpose of writing this review. The opinions and content of this review are solely those of the review’s author. This book, for it is a little larger than a monograph, tells the story of Shira’s mum and her journey in Jerusalem (and getting there and back) as she pursues her PhD at the Hebrew University. In that, she is just one of many. But this book is set in the 1950s! It is the story of a young woman in her twenties and the experience of being in an emerging country, not yet 10 years old. There is much written and published about the birth of Israel (say from 1945 to 1950), be it in historical fiction like O Jerusalemor The Sourceas well as shelves of historical and personal accounts. At the other end of the spectrum is more recent works especially those discussing the political and historical (and even economic history) of Israel from the election of Begin in 1977 until today. What is missing is observations of those years between 1950and the Six day War of 1967. Shira and her sister discovered a diary kept by their mother, Naomi, after her death in 2013 following a long battle with Alzheimer’s disease. It helps give some of the answers to questions they could no longer ask their mother. It is a labour of love. Naomi Moldovsky was born in Palestine but had settled with her father in Melbourne. In 1955, she had an opportunity to study Economics in Jerusalem [and to become reacquainted with her mother who lived in Tel Aviv]. The book is a series of short vignettes describing events and feelings about what is going around Naomi. It is also set in a time while she is still single for it is only in 1958 that she does marry. She describes how lonely she felt as a single person in Jerusalem. Many of us forget that this time was less than a decade since Israel’s Declaration of Independence and fighting a war for survival- and during the writing of this journal was the Suez Crisis. Israel then is not he Israel of today. The Labor Party of David Ben Gurion was firmly entrenched at all levels, not only of government but throughout society. Having lost half of Jerusalem and the main campus of the Hebrew University much was on an ad hoc basis. This is reflected, at least on one level, by the description of the location of her supervisor whose offices were in part of Terra Sancta building where both the humanities and the social sciences were located until much later when it was subsequently moved to the Givat Ram.campus. Some of the book gives one a sense of déjà-vu. Just as in today’s Israel which experiences terrorist action do too it was in the Jerusalem of Naomi’s time. Described are a number of events which happened in April 1956. What I missed, for not that much is available, is Naomi’s perception of the Suez Crisis. It was a time of uncertainty with world powers vying for control and influence and the United States forcing Israel and its partners back from the Suez Canal. The reality of this book is in its style. Shira has taken the words of her mother’s diary and written them in an easy to read form that enables the reader to understand that period of time. It is clearly not intended for those seeking primary documents. Shira has brought her own literary talents to this book. She has previously worked as a journalist and her sister, Leora, is still in the field. It is a fascinating read.